Smith and Wade meet with the British High Commissioner for Iraq, Sir Henry Dobbs, in Baghdad. 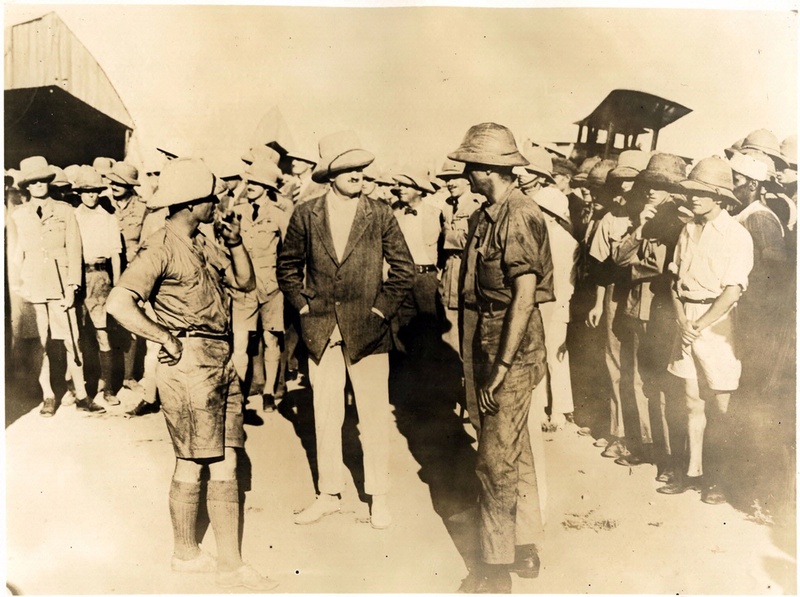 Lowell Smith (right) and Leigh Wade (left) discuss their adventures flying around the world with the British High Commissioner for Iraq, Sir Henry Dobbs, in Baghdad. National Air and Space Museum, Smithsonian Institution (SI 90-15709).